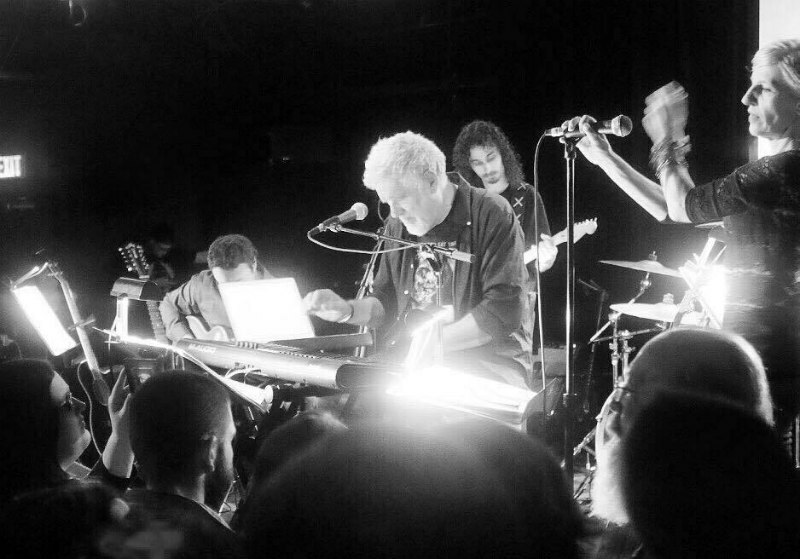 To coincide with legendary horror composer Fabio Frizzi’s hotly anticipated return to Chills in the Chapel at London Union Chapel on Saturday 29th October, we revisit his vast and iconic synth scores as part of his current world tour. Amongst his earlier work, the film marked Frizzi’s third team-up with long term collaborator Lucio Fulci. Sette note in nero tells the story of a woman who experiences psychic visions, which leads her to discover a murder. After her husband is charged with the killing, a paranormal researcher joins her in an investigation to clear his name. Frizzi’s soundtrack was praised for its simplicity and elegance, particularly in comparison to typical Italian thrillers. Segments of Frizzi’s score were used later in Quentin Tarantino’s 2003 film Kill Bill: Volume 1. Frizzi and Fulci teamed up again for their first collaboration on a horror movie. Regarded as a strong influence on 1980s Italian horror, the film follows the search for a young woman’s missing father on a tropical island where the dead rise up and attack the living. Frizzi’s work made use of Caribbean musical cues that surprised the audience and his score was praised again as a key, memorable component of the film. Another collaboration with Lucio Fulci, Frizzi’s synth-heavy score is still regarded as one of his greatest and most influential, commended for creating an unsettling and other-worldly atmosphere. City of the Living Dead tells the story of a race to close the gates of hell after they are opened by a priest hanging himself, causing the dead to rise from the grave. The film is part of an unofficial Gates of Hell trilogy, with The Beyond and The House by the Cemetery. Never afraid to reinvent and experiment, in The Beyond Frizzi layered real vocalists over the top of a choir, creating a spine-tingling sound complimenting Fulci’s surreal visuals. The story portrays a young woman who inherits an old hotel, only to discover it was built over an entrance to hell. The Beyond is one of Fulci and Frizzi’s most revered collaborations and Frizzi has just revisited his score and, after initially recording 52 songs, he updated the original and included pieces which didn’t make the final cut. While it may not be a Fulci classic, Frizzi’s soundtrack remains one of his more creative, and another great entry into his catalogue. With the film focussed on New York city, Frizzi plays with a vivid synth and playful bass lines. Manhattan Baby tells the story of the gory murders that occur after an evil spirit is released from an Egyptian tomb by an archaeologist and his daughter becomes possessed. 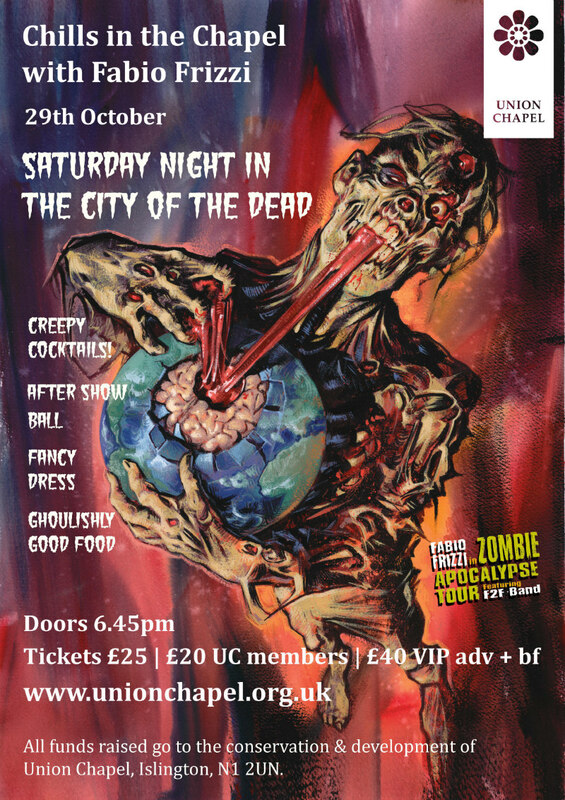 Chills in the Chapel with Fabio Frizzi: Saturday Night in the City of the Dead on Saturday 29th October. 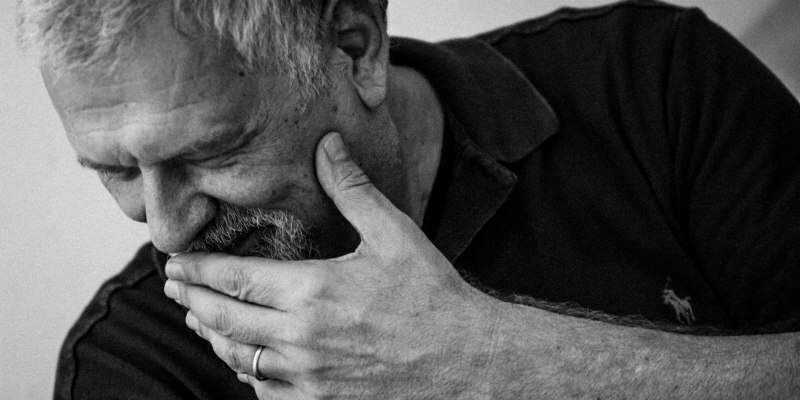 Read our interview with Fabio Frizzi.